In order to meet the employment requirement or shortage of skilled workers in Australia, temporary employment visas are granted to eligible overseas workers. The time duration of different temporary employment visas from short stays to longer periods that can range between three months to four years. Every visa has its own advantages that are developed according to the benefits that it will deliver to Australian economy. Since the visa application process for Australian Temporary Employment Visas is complex in nature, it is advised to undertake the services of expert immigration and visa consultants such as MoreVisas. MoreVisas provide in-depth information and useful guidance that are relevant to employment and travel needs of an applicant. Temporary Work Skilled Visa – Subclass 457 permits business of Australia to employ workers or employees from outside of Australia towards skilled jobs. All the skilled workers under this visa are nominated and sponsored by their Australian employers on a temporary basis. It is important to note that these Australian businesses have to prove that they nominated the foreign employees due to non-availability of skilled workers in the domestic labour market. The main advantage of this visa is that there are no age limits for sponsored employees. It is required that employees need to have sufficient skills in English language. 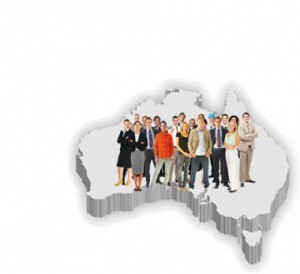 MoreVisas offers free assessment to evaluate an applicant’s eligibility towards the temporary work visa of Australia. An applicant can also apply for another temporary visa, when his/her validity of visa expires. However, during the period of visa sponsorship, the applicant can also apply for permanent residence permit of Australia. Since there has been booming economic activity in several sectors of Australian economy, there has been a wide range of employment opportunities for skilled workers. Adding to this factor, great working environment and living atmosphere in Australia, this country has become a hotspot for migration of skilled workers. MoreVisas channelize all the immigration process service of clients under the reliable and expert guidance of our process consultants. We are delighted to proclaim many of our customers were very much satisfied with our service. We also immigration and visa services to different countries such as Canada, UK, USA, Hong Kong, Denmark and many others. Hello my friend! I want to say that this article is awesome, great written and include approximately all significant info. I would like to see more posts like this. Thanks for get in touch with us. To know more information send your requirement to [email protected] or call us @ 1800-2000-144 . will get back to you soon.